Translation is the act of rendering text in one language - the source - into another, the target. Among practitioners, a distinction is generally made between translation, where the source and target texts are written, from interpreting or interpretation, where the source and target are spoken. From the point of view of analyzing the processes involved (translation studies), it is perhaps more useful to treat interpreting as a subcategory of translation. The translation process can be logically divided into two steps: 1. The meaning must be decoded from the source language, and 2. This meaning must be re-encoded with the target language. For precise translation, both of these steps often require knowledge of both the semantics of the language and the culture of its speakers. Authenticity, that is, the translation appears to a native speaker of the target language to have originally been written in the target language. A rigorous word-for-word copy of the text would lose much of the impact of the writing, not only because cultural differences would be ignored, but also because linguistic factors such as idioms would be trampled upon.
" (A literary work's) essential quality is not statement or the imparting of information. Yet any translation which intends to perform a transmitting function cannot transmit anything but information—hence, something inessential. This is the hallmark of bad translations. 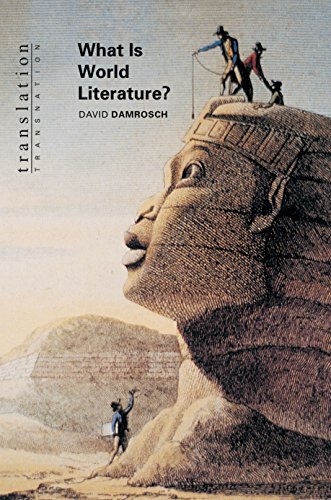 But do we not generally regard as the essential substance of a literary work what it contains in addition to information—as even a poor translator would admit—the unfathomable, the mysterious, the "poetic," something that a translator can reproduce only if he is also a poet?" Walter Benjamin, "The Task of the Translator" (Introduction to his translation of Baudelaire's Tableaux Parisiens) 1923.